Congratulations! You booked a new motorcycle and it's ready for you to pick up and ride off the lot. I can imagine the excitement but it is important not to rush the delivery process. Remember once you sign the sales agreement and the new motorcycle's wheels hit public pavement, the motorcycle becomes all yours - for better or worse. 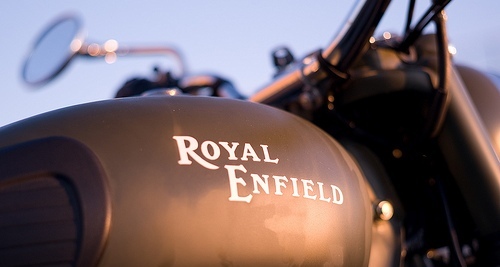 Your new motorcycle will indeed come with a factory warranty. But keep in mind that the dealer is more likely to take care of any problem a lot faster if it threatens to hold up the closing of a sale. This all means that before you sign the dotted line and grab those keys, you'd be prudent to take one last hard look at both the paperwork and the motorcycle you're buying to be sure they're just what you bargained for. I have compiled a comprehensive checklist that might come handy the day you pick up your new baby. To be honest, I am not the original author. I collected this information from various sources. 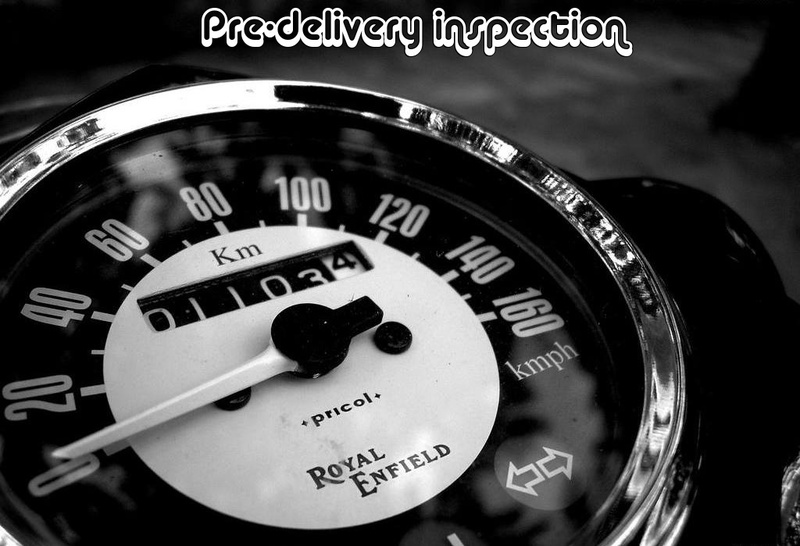 This pre-delivery checklist contains many points that you might overlook if you're in too much of a hurry to take possession of your new motorcycle. I know it is not all encompassing, but it will get you started down the road to obtaining a trouble - free vehicle. The salesperson may not love you for taking all these precautions. But if you do, chances are much greater that you'll love your new motorcycle. So here we go! 1. Never accept the delivery in the late evening. Call the dealership ahead of time and let them know that you plan to perform a very detailed delivery check during daylight hours. Getting through your checklist may take couple of hours or more so see that you get an earliest possible appointment (0930 hrs or even earlier if possible) so that you will be having sufficient time to inspect the motorcycle, put accessories/modifications and fix any defects found, complete the paper work, all under a bright daylight. Also insist that no Invoice to be made in your name till you complete the pre-delivery inspection. 2. Some people believe that taking delivery of 'Metal' goods on Saturday is inauspicious, while some insist on a ''Muhuraat'', plan and prepare accordingly if you are one of them. 3. Call couple of days in advance to confirm the delivery date and time to avoid any disappointment in case dealer is unable to deliver the motorcycle for what so ever reasons on that appointed day. 4. In the mean time, keep your paperwork ready. Check with the dealer well in advance about documents required to complete motorcycle Registration, Insurance, motorcycle finance formalities etc. 5. If any financial transactions are to be completed on that D- Day, carry all PDC, cash, DD etc. 6. Check and verify that your motorcycle insurance starts the minute you take delivery. 7. It is prudent to have somebody , a third person, not emotionally attached to your motorcycle buying process, accompany you during the whole process. And if you can manage to have an experienced Auto mechanic or an eagle-eyed friend or relative along with you nothing like that; four eyes are better than two. This also helps in case dealership tries to pressurize you on any account. 8. Don't forget to take your camera / camcorder with you (of course with fresh batteries, film/ cassette/ memory card), not only for capturing the moment of joy but in case you find any cosmetic defect in the motorcycle, a picture will serve as a proof. 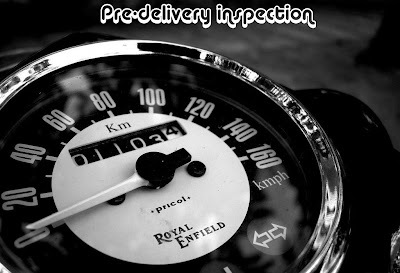 this are few good points to be taken into notice before taking delivery which we dont go through at first, PDI is a must today as we would never know the state of motorcycle which is to be delivered to us, a thorough inspection is necessary and also take few friends along with which is more helpful during this.Dont sign papers at the time of delivery before checking out all things, another test drive of motorcycle, paint check, lights check, and only when you are satisfied with all sign papers cause once its sign dealers wont listen to you.nice post mate. Good article for persons who need to take a new bike. Thanks a lot for your valuable suggestions. Awesome tips !! i love this blog !! but somehow he managed to replace the part on same day and shown also preivous one which was not even noticeable in normal eyes...and was possible in eagly-eye as you mentioned.